At the core of the Theatre & Dance and Music programs' educational training are a wide variety of co-curricular performances and other special events. Many of these performances are open to the general public as Season Productions. For additional Music events, including camerata recitals and student recitals, please visit the Music Events page. For NEXT Music Capstone Recitals, please visit the NEXT Exhibition page. 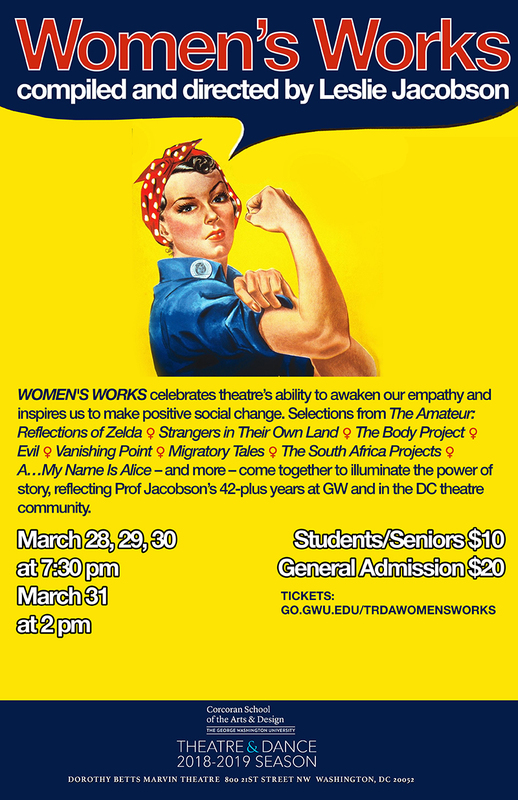 Women's Works celebrates theatre’s ability to awaken our empathy and inspires us to make positive social change. Selections from The Amateur: Reflections of Zelda; Strangers in Their Own Land; The Body Project; Evil; Vanishing Point; Migratory Tales; The South Africa Projects; A…My Name Is Alice – and more – come together to illuminate the power of story, reflecting Prof Jacobson’s 42-plus years at GW and in the DC theatre community. 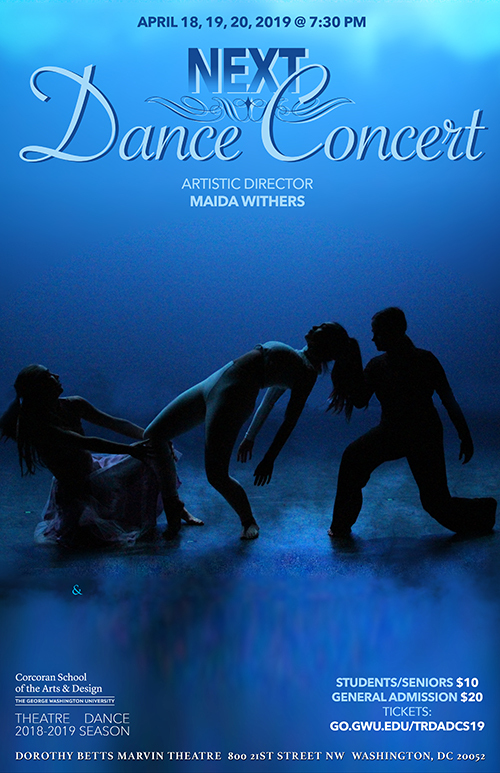 Featuring internationally acclaimed guest artists as well as student choreographers.-See what's NEXT in Dance! 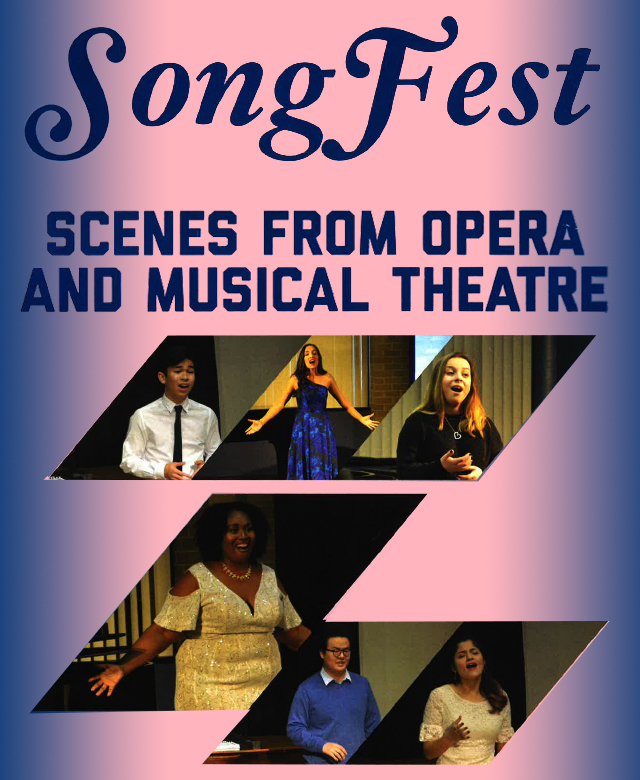 April 11, 12, 13 @ 7:30 p.m.
SongFest, a two day event, focuses on vocal performance in opera and musical theatre. Masterclass with Thomas Pedersen: Friday, April 12, 2019, at 5:00 p.m. Performance with Prof. Patrick O’Donnell, piano: Saturday, April 13, 2019, at 5:00 p.m. 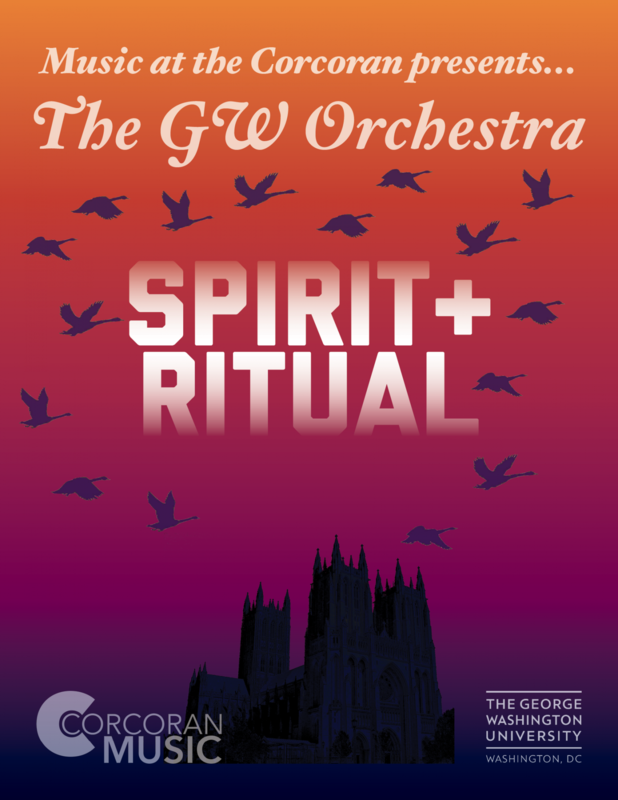 The GW Orchestra is the university's full symphony orchestra, consisting of students from across the university. This concert explores our connections to the unseen through religious rituals and non-religious experiences. The George Washington University Bands consist of students dedicated to enriching the University community through music. Members have the opportunity to perform in two concert ensembles: the Wind Ensemble is GW's premier wind band, and the Symphonic Band is the largest student ensemble and is open to all students. 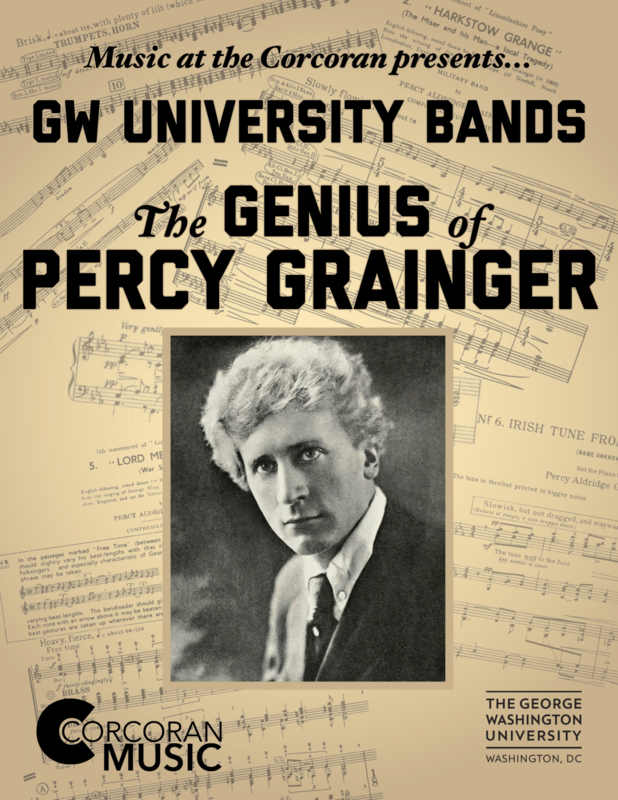 This concert will feature Percy Grainger's biggest hits, as well as works by Aaron Copland, John Mackey, and others. April 28 @ 3:00 p.m. Call (202) 994-0551 at least 6 hours in advance of the performance. 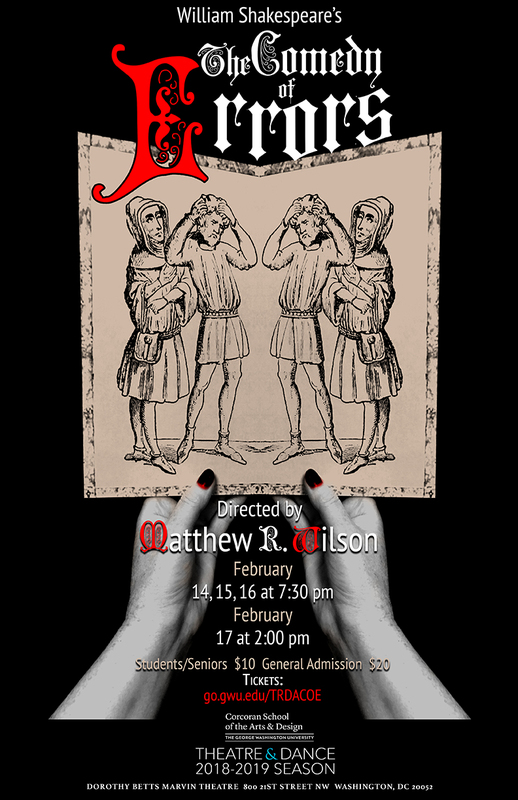 Reserved tickets may be picked up at the box office Will-Call before the performance. Tickets to Season performances can be purchased at the box office, located at the window of the former Welcome Desk in the Marvin Center. The box office opens one hour before show time. We accept cash, credit card, and check. Purchase online or at the box office. If you purchase online, the Season Pass will be available for pick-up at the box office when you come for your first production. If you have any questions call 202-994-0551 or email [email protected]. Bring your receipt from dining out at District Commons or Tonic on the night of the show and receive a $5 discount on each of your adult theatre tickets!